We Odias love having chakuli pithas for breakfast. 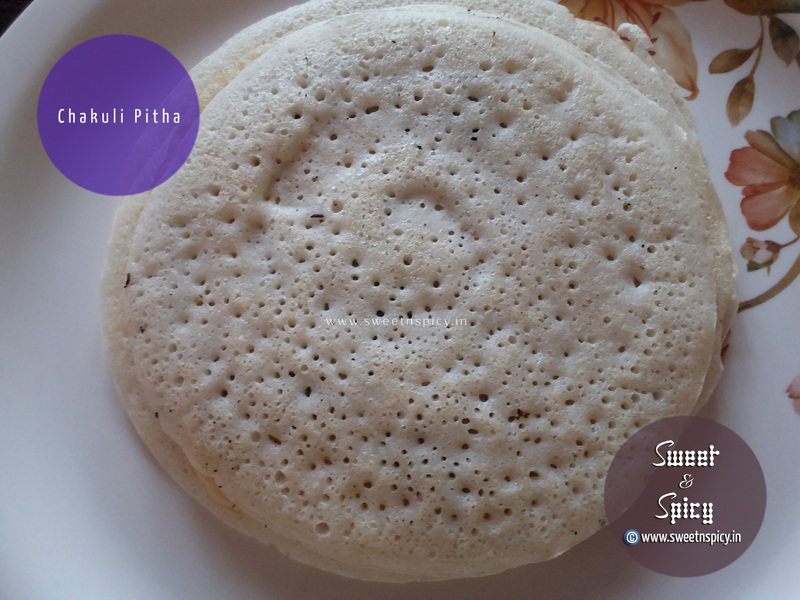 Chakuli Pitha can be termed as the Indian crepe made from fermented batter of rice, black gram ("biri" or urad dal), salt and fried in a little bit of edible oil. Even though these chakuli pithas resemble "dosa" and are prepared from similar ingredients but they are still a bit different from the dosas. This picture is of "Budhaa Chakuli", a slightly thicker version. There is another thinner version as well known as "Saru Chakuli". Chakuli Pitha and Aloo Bhajaa (potatoes skinned and sliced thinly and then stir-fried with a few spices) make a great pair, This combination is a very common breakfast menu in most Odia families. I was thinking about preparing chana dal chuttney with ground coconut paste to supplemnet the Chakuli pithas but instead chose to prepare the familiar "Aalu Bhajaa". 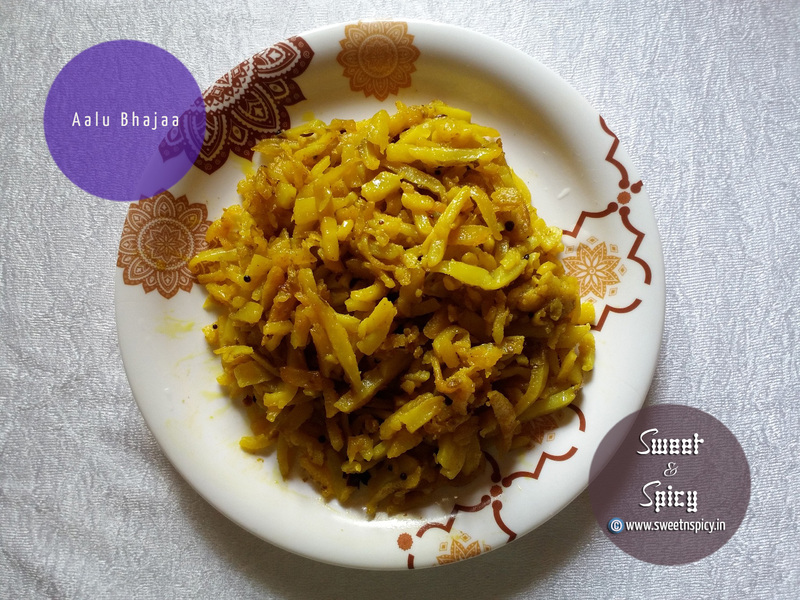 Aloo Bhajaa is very very simple to make, doesn't require much of an effort but tastes really well. 3 to 4 potatoes are first washed and cleaned nicely, then skinned and are sliced into long thin and slender pieces. They are then stir-fried in vegetable oil with a few spices like cumin seeds, green chillies, a pinch of asafoetida (hing), turmeric powder, a tiny pinch of red chilli powder and cooked till they are done. It hardly takes about 10-15 minutes to prepare, depending on the quantity you would have taken.